From your Cart66 Cloud dashboard, if you go to the Products tab you will see a list of all your products. On the right hand side of the screen there is a Goodies button. Clicking that button reveals a drop down menu and one of the options is Send to WordPress. 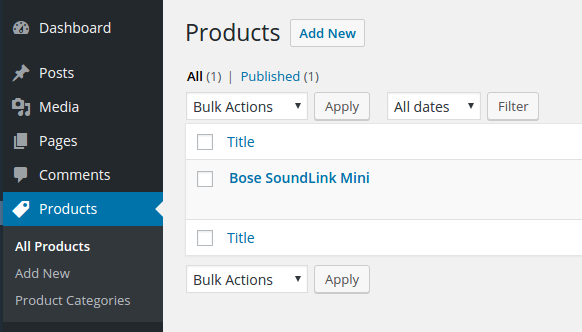 When you click that, it will create a Product in your WordPress site. If that doesn't work it may be because your WordPress site is hosted on an Apache server that runs PHP in CGI mode. 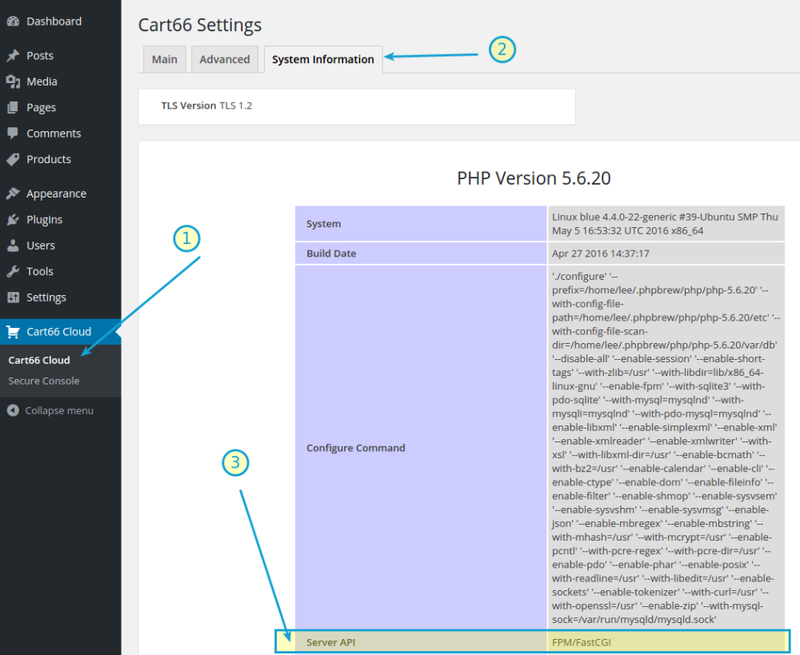 You can check by looking at your WordPress Cart66 Cloud settings and checking your System Information. If you see CGI as the server mode then this is most likely the problem. Note: In this example we're running nginx with PHP-FPM. To fix this issue, add the following lines to the top of your .htaccess file located in the root directory of you WordPress site.